Friday Faceoff: Should Kasey Kahne Hang It Up Early? 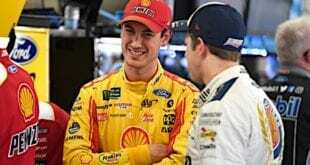 Home / Clayton Caldwell / Friday Faceoff: Should Kasey Kahne Hang It Up Early? Kasey Kahne will miss the next three races due to severe dehydration issues suffered at Darlington Raceway. Will his final stretch of races end with him behind the wheel, or should he sit it out? 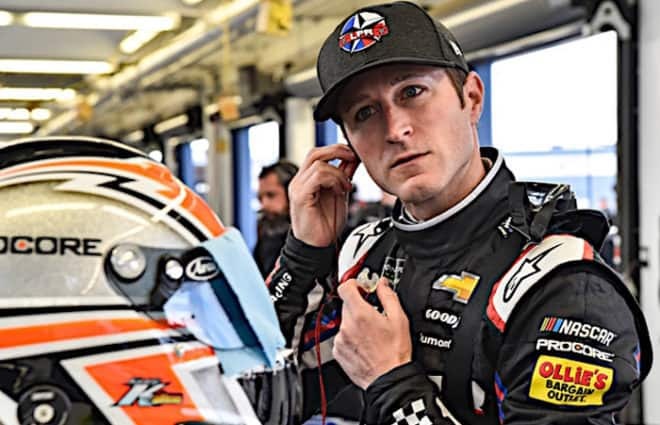 Clayton Caldwell: It would be a great benefit for Leavine Family Racing to have Kasey Kahne behind the wheel as soon as possible. Kahne is a driver who has had a lot of success in this sport and knows what it takes to find Victory Lane. His knowledge and feedback can not be replaced, and it’s something from which LFR could greatly benefit. However, we’ve seen the last of Kahne behind the wheel of a Monster Energy NASCAR Cup Series car; I don’t see him getting back behind the wheel. Wesley Coburn: For his health’s sake, stay out of the car. He’s had a long career with lots of wins, and while he didn’t live up to the mile-high expectations, that can’t always happen. If he nearly passed out at Darlington, what happens if it occurs again at Talladega Superspeedway? He has his son to think about, and if that means his career ends with a whimper, that’s all right. There’s a lot more to life than just racing. Zach Gillispie: Let’s face it: Kahne’s career is winding down, as he will enter retirement after season’s end. For as bad as his diagnosis sounds, why risk potential health issues again in these final races? Kahne has several off-track interests, not to mention raising his young son. 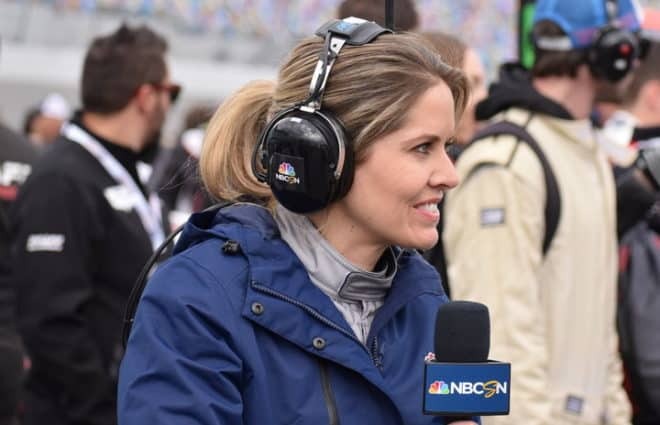 If he is ready to call quits on NASCAR, do it now and get a head start on enjoying life without the pressures of racing pressing down on top of you. Justin Allgaier’s win at Indianapolis Motor Speedway was his fifth of the season and first at IMS. 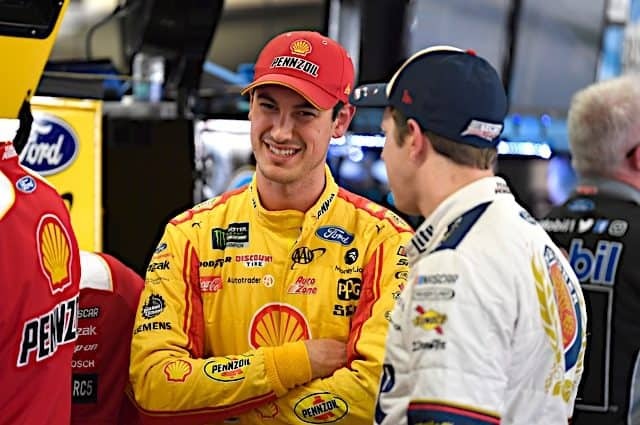 Has he surpassed Christopher Bell as the favorite for the XFINITY Series title? Coburn: Yeah, Justin Allgaier has a slight edge on Christopher Bell… for now. JR Motorsports running one more full-time car than Joe Gibbs Racing means more resources to devote to the No. 7, but Bell likely gets better advice and tips from his Cup teammates, so that could change the tide. Things could change a lot by the time the playoffs are over, but it’s fixing to be a great battle to watch for the XFINITY title. 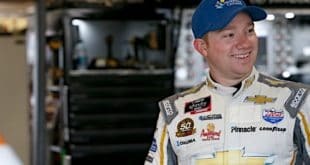 Gillispie: Allgaier has fully surpassed Bell as the championship favorite. He has come to the top with a cannon of momentum underneath him. 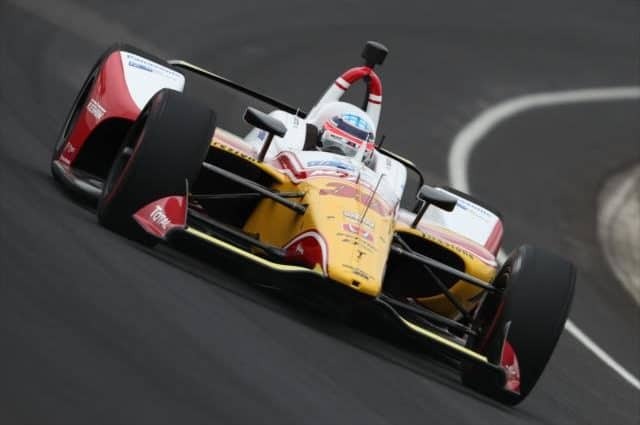 Allgaier’s unmatched consistency and experience, combined with his wins at a vast diversity of tracks this season, suggests that he will have a masterful playoff run. Although a determined Bell has had tremendous success this season, don’t be surprised it the rookie cracks under pressure. It’s going to be hard to keep Allgaier off the top step of the podium at Homestead-Miami Speedway. Caldwell: Yes. Like any playoff situation, it’s all about momentum and being hot at the right time. His team is hot, and Allgaier is driving the best he has in his career. Beating a JGR car in XFINITY is no easy task, but JGR has come back down to earth a bit with the composite bodies. Bell shouldn’t be forgotten about, but Allgaier is now the favorite. The Camping World Truck Series has 36 entered for a race in Las Vegas Motor Speedway where it typically struggles to fill the field. Are the trucks in the healthiest position financially of the three series right now? 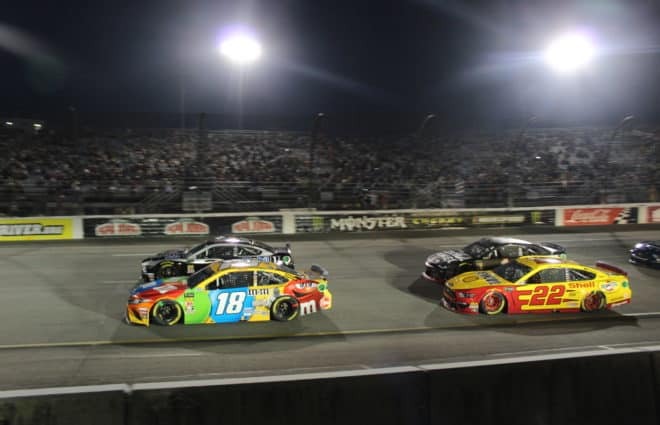 What is making the difference there that could help the business model in XFINITY and Cup? Gillispie: Ben Kennedy has done a masterful job with the Truck Series this year. I’m hesitant to say that the series is the healthiest series out there, but it certainly has a somewhat strong footing underneath it. While Las Vegas does have a big purse payout, the new Ilmore NT1 engine package has lead to the increased Truck entries and more substantive budgets. Several new and part-time teams and drivers (i.e. the Cory Ropers, the Chad Finleys and the Codie Rohrbaughs) have taken advantage of the new engine package. Although it might not make the most economic sense, I would like to see NASCAR increase the truck field to 36. This might prevent some of the new, better trucks from missing the show (ahem, Timothy Peters). Caldwell: This all depends on the purse of the event. The trucks seem to always race for a very competitive purse at Las Vegas, and with the amount of money the city paid Speedway Motorsports, Inc., I’m sure the purse of the event is one of the highest in the series. If purse payouts were this high every week, the numbers would be up for every series. Coburn: The spec engines probably help a lot, so perhaps implementing them in higher levels would help car counts, but the jump in entries also might come from there being no races for a few weeks. That gives teams a chance to repair their trucks and get them in the best shape possible. I don’t know if I’d describe the Truck Series as financially healthy, but the relatively speaking bare-bones budgets makes for the most compelling racing of the three national series. Since the playoffs start in Las Vegas, let’s make some bets. Who would you place your money on to win the Cup championship? Coburn: Kyle Busch beats Kurt Busch, Kevin Harvick and Brad Keselowski at Homestead-Miami Speedway. 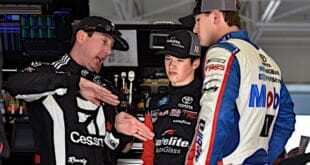 Caldwell: Kyle Busch, but there are only two logical answers for this: Busch and Harvick. It’d be great to see Martin Truex Jr. compete for another championship, but with the distractions going on with his race team, I just don’t see it. We’ve already seen the organization struggle a bit more than we’re accustomed to. Kyle Busch is the type of driver who can win anywhere, anytime. He and Adam Stevens get along great, and they’ve got a great race team. They’ll be dangerous. 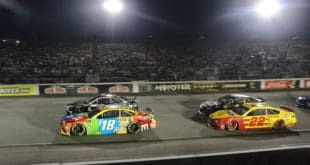 Gillispie: Truex beats Kyle Busch, Harvick and Chase Elliott for the championship, and Furniture Row Racing rides off into the sunset on the top step of the podium. First, I hope Kasey finds out what the issue is with his health. But reading his comments from his press conference he seemed a little too cavalier about it. He stated that during the Darlington race he could hardly keep his eyes open. If I was one of his competitors I would be concerned. I mean they are only driving 3400 pound cars at 200mph and to know that one of my fellow racers can’t keep their eyes open that is a little scary. Yep. Yep. Let’s hope so. Anybody but Kyle. I hope you don’t mean Larson! He’d be my fantasy pick.